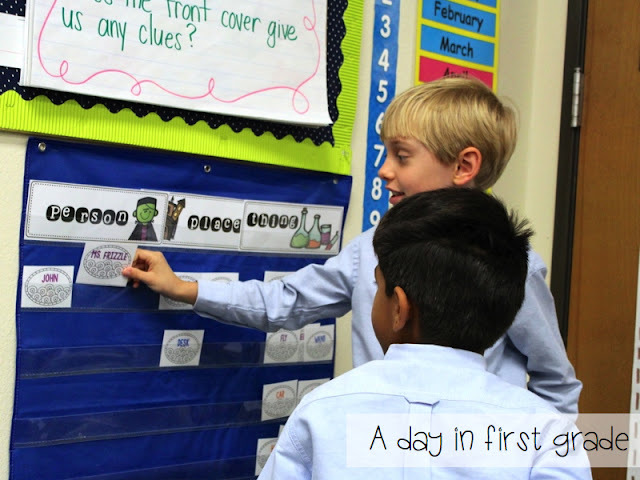 A Day in First Grade | Owl Week! On Monday we start our next unit. 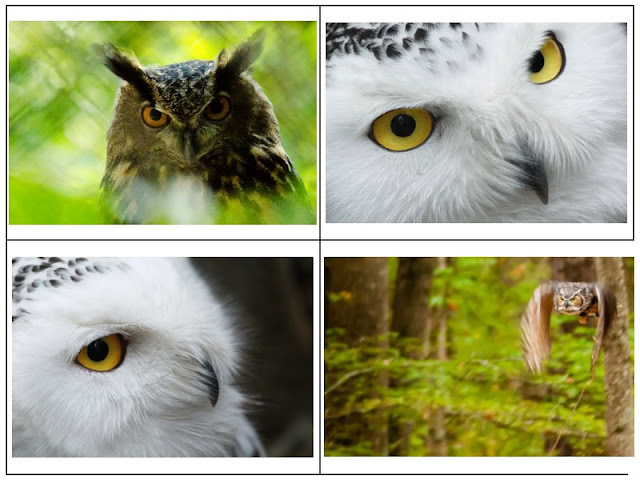 Throughout the upcoming week we will learn all about owls! The owl pellets arrived the other day and my students are REALLY excited to dissect them. 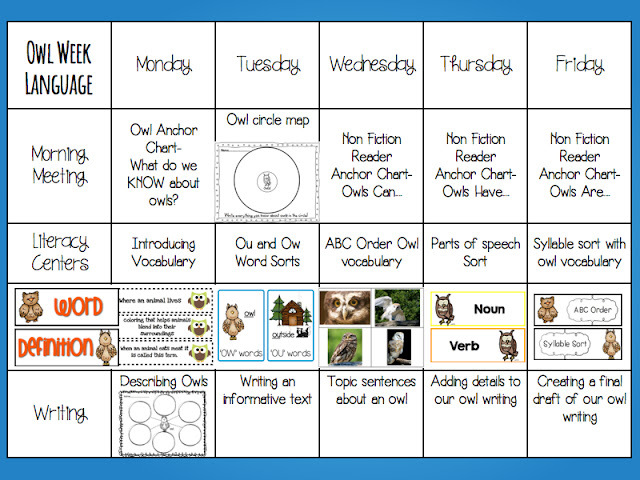 After reading Gail Gibbon’s book “Owls” and our owl readers, we will practice applying our new owl knowledge. We will write one fact in each bubble from this recording sheet. 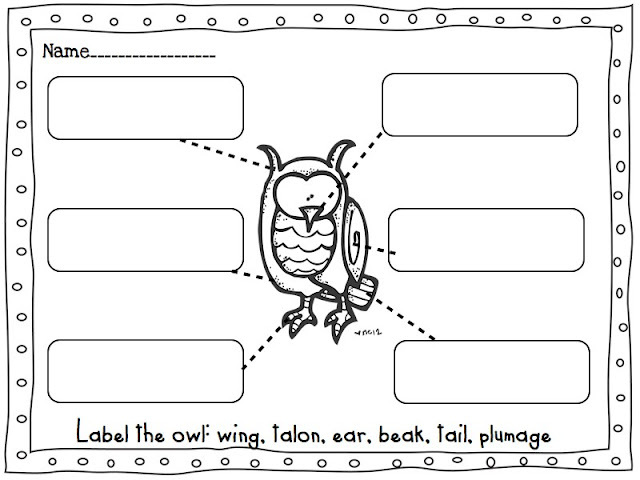 And we will also label this owl. …and watch some awesome YouTube Videos. You can subscribe to my Youtube account by clicking here. This will give you access to all the videos in my “bats and owls” playlist. (and my other playlists as well!) There are songs and educational videos in this playlist. We will continue practicing sorting nouns. 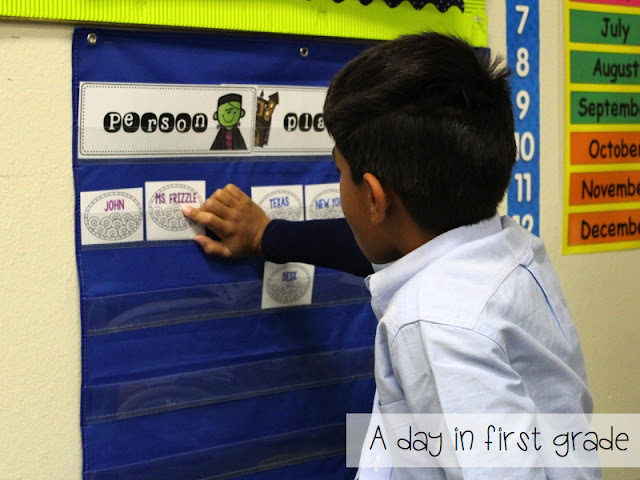 When my students do a word sort, they also have to make sure that they can read each word that they have sorted. I have my students touch the words and read them to their friends to ensure that they are not just guessing. 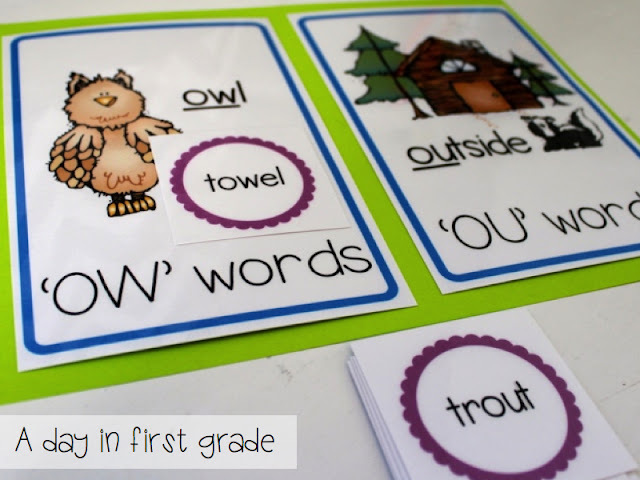 We also will learn the sounds that “ow” and “ou” make. 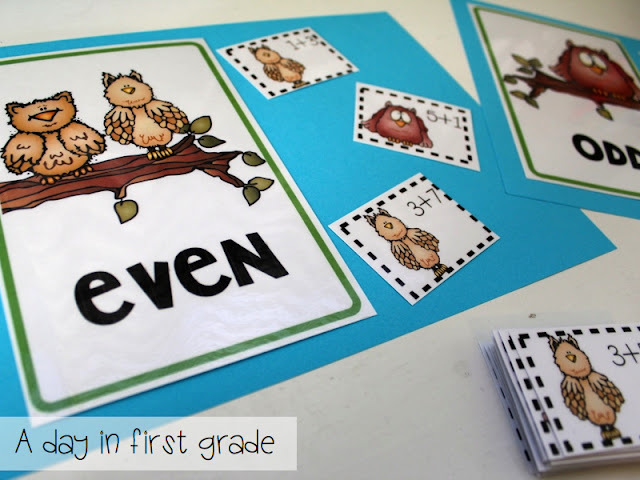 My students will practice this skill with a word sort. 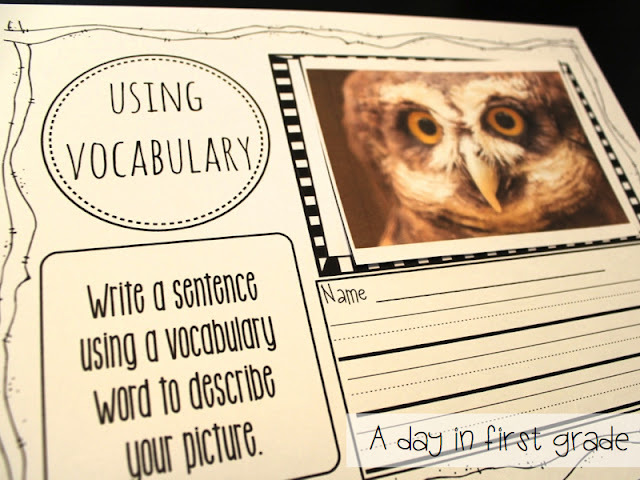 Another literacy center for this week combines vocabulary and writing. 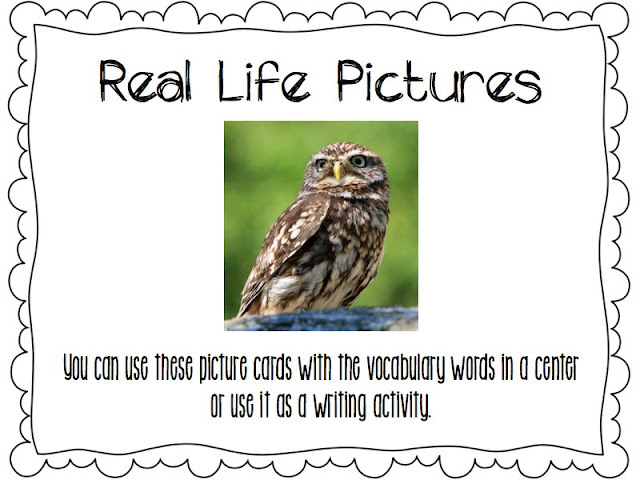 In this one, my students will choose an owl picture and then write sentences to describe the picture. 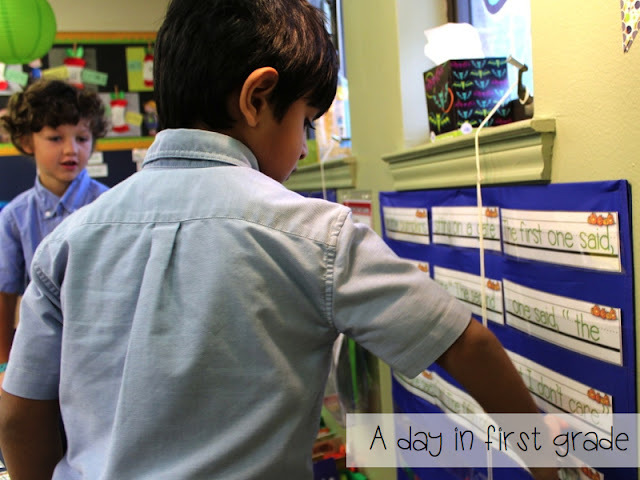 They are working on “word choice” and sentence dynamics. Our Math bins will only slightly change this week. We are working on word problems and reading to discern if they are addition problems or subtraction problems. 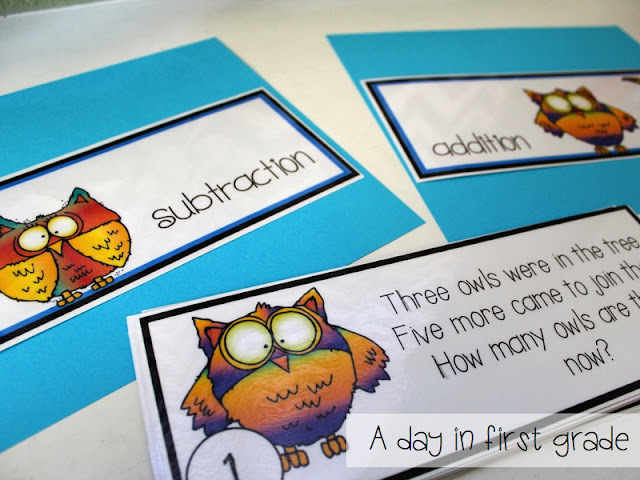 They have to write the number sentence for each word problem and the answer on their recording sheet. In the afternoon we will create a few crafts as well. My parents still love getting art projects that feature their children’s handprints so we will create handprint owls this week. Last year they came out really sharp. 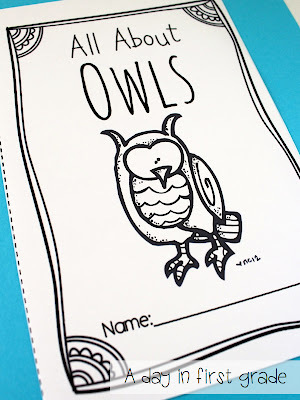 We also will make owl shaped books! Then on Friday we dissect our owl pellets! I hope that you can use some of these ideas! 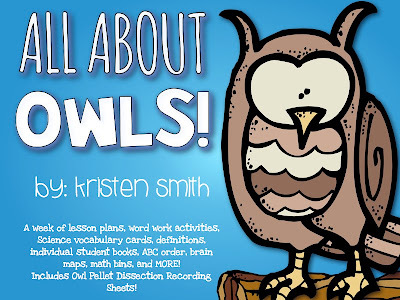 If you would like any of the owl activities I have an “All About Owls” pack that is full of activities and ideas. 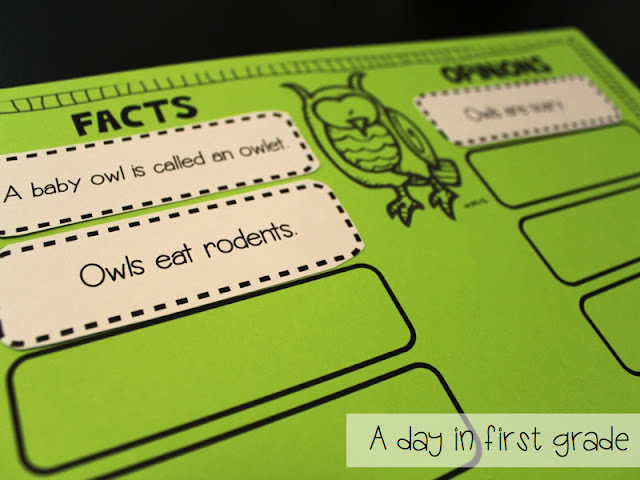 It also includes a student reader, tons of recording pages, and recording pages for your owl pellet dissection! Click on the cover to get taken to the unit! You will love it! 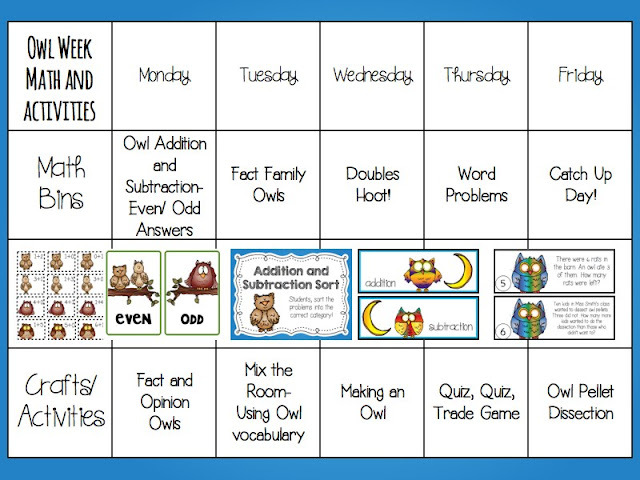 I cannot tell you how much my class has enjoyed using the activities in your owl pack! We dissected owl pellets on yesterday and my students are loving the vocabulary book! I bought your bat and spider units and we will be using those in the coming weeks! Thanks for creating such wonderful products! 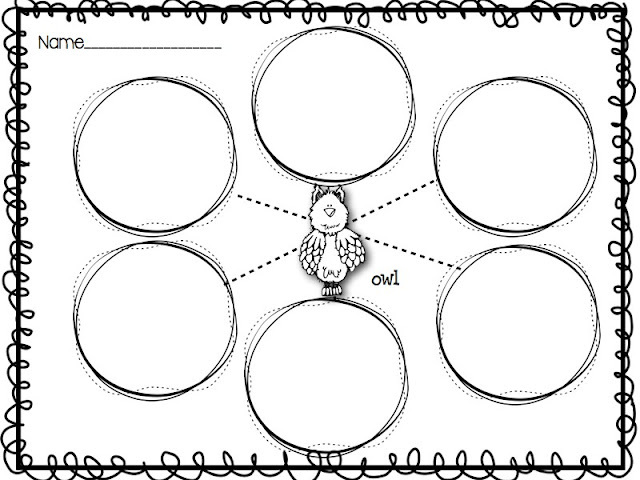 Your owl activities look so cute!!! You are such an inspiration! I love checking out your fall units and activities. They are all amazing! Thanks so much for sharing! The Owl Pack looks great! Thanks so much for sharing! 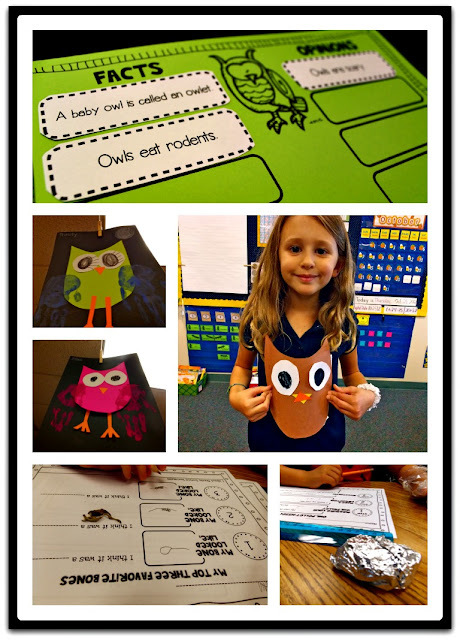 I used the Owl Pack this year….”Owl Afternoons” were a huge hit in our first grade classroom. Thank you so much!